My Capstone Experience/Thesis project seeks to explore and compare the perceptions of peer leadership among freshmen honors students who have received formal leadership training and freshmen honors students who have received no formal leadership training. Peer leadership plays an important role in all aspects of life. If students who have had formal leadership training have a more positive perception of their peer leaders, educators may want to put more peer leadership curriculum into their programs. This study tests the hypothesis that freshmen honors students who have received formal leadership training will have a more positive perception of their peer leaders. 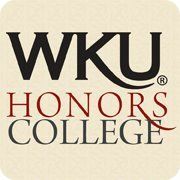 This study uses a known reliable and valid survey to collect data regarding the perceptions of peer leadership among honors students. Two subgroups were analyzed in the SPSS program by using the t-test method. The hypothesis was not supported by the findings in this study. Possible reasons for these findings are explored, including implications for further study and limitations of the current study. Culbreth, Christy M., "Perceptions of Peer Leadership Among Honors Students" (2012). Honors College Capstone Experience/Thesis Projects. Paper 378.